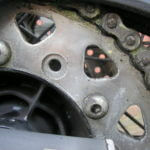 It is essential to know what to check for when buying a second hand motorbike or scooter. 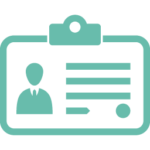 Unfortunately there are many scam artists out there who are looking to take advantage of inexperienced buyers. With this in mind we created a free and simple used motorcycle checklist. These are the things you need to check when buying a used motorcycle or scooter, broken down into easy to follow sections. Just enter your email address below and you will receive the checklist in your inbox. Get our newsletter, occasional special offers and instant access to your checklist. 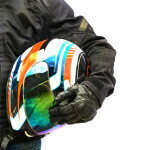 The number one benefit of buying a second hand motorbike is simple – the price. The original owner takes all the depreciation costs while you pick up a fantastic low mileage bargain. 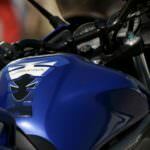 For a new rider a cheaper motorbike will also cost less to insure. Of course you won’t get any warranty or guarantee when buying a used motorcycle, so doing your homework is essential. By following this guide you will be armed with all the information you need to avoid that lemon and find a bargain. When you first see the bike do you see a machine that looks like it’s been cared for or do you see a wreck? If it’s the first one then go on to the next stage but if not then it’s probably best to RUN away. First look for clues that the bike has been involved in an accident e.g. scrapes on the exhaust or the ends of the handlebars or foot pedals. If you do see scrapes, ask about them. If you feel uneasy about the answer then don’t buy it. A low frequency knocking sound coming from the bottom part of the engine (the sump). If you hear it, it means the big end has gone and you’ll need a complete engine rebuild. Don’t buy it. 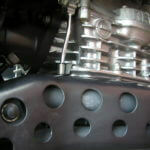 A high frequency tapping sound from the top part of the engine (the cylinder head). This could mean the tappets are worn and need to be replaced or they could just need adjusting. If they need replacing it’s expensive. If you don’t hear either of these 2 sounds, hold a gloved hand lightly over the end of the exhaust for about 5 seconds. If you still don’t hear them then so far so good. If there is severe dark smoking from the exhaust it means the piston rings are going and need replacing. Again, an expensive job. If you see oil coming from the cylinder head that’s bad news. Bounce the front of the bike up and down and then look for oil rings around the shiny parts of the forks. If oil rings are there it means that the fork seals have gone and need replacing. It’s not expensive for parts but it is for labour unless you can do it yourself. Now do the same with the back of the bike. Look also on the forks for pitted rust holes. If there are some then you’ll be forever replacing the fork seals. Now move the bike forwards and apply the front brake. Move forwards again and apply the rear brake. If you hear a grinding noise it means that either the drum needs cleaning or new shoes are needed. Check for slackness in the chain. There should be about an inch and a half of slack. If it’s any slacker make sure the digits on the adjustment nuts are not on max as this could mean that a new chain and sprockets are needed. Turn the handlebars right and left. They should be smooth with no cracking, crunching or grinding noises. If you do hear any of those noises it could mean the bearings have gone. Look at the tyres. The depth of the tread should be at least 1mm. Anything less is illegal. Check also that the rubber is not perished. If it is it makes getting a puncture a lot easier and remember, you won’t be carrying a spare so it’s vital to have good tyres in good condition. Finally, ride the bike. Accelerate, brake front and back, turn corners, do U-turns, stop it, start it again, test the security system if it has one. The seller should have the log book (V5) and, if the bike is 3 years old or more, an MOT certificate. If he hasn’t then don’t even bother examining the bike. There may also be a service book. If there’s no watermark then don’t buy the bike. If any of the other 3 are not as they should be there could be an honest reason. Ask, and if you aren’t happy with the answer, don’t buy it. If you’re thinking of buying a used motorbike (or any vehicle) whether privately or from a dealer, get its history checked out first – Get your HPI motorcycle Check. They will email you a comprehensive motorcycle history check. If you’re happy with it all, start haggling. If you’ve done your research you’ll have a good idea if you’re being ripped off or getting a bargain. And remember, there are more bikes for sale than there are buyers, so be prepared to walk away. If you’d like more information about buying a used bike then click here for the most thorough report (with photos) we’ve found on this subject. It’s American but most of it still applies.